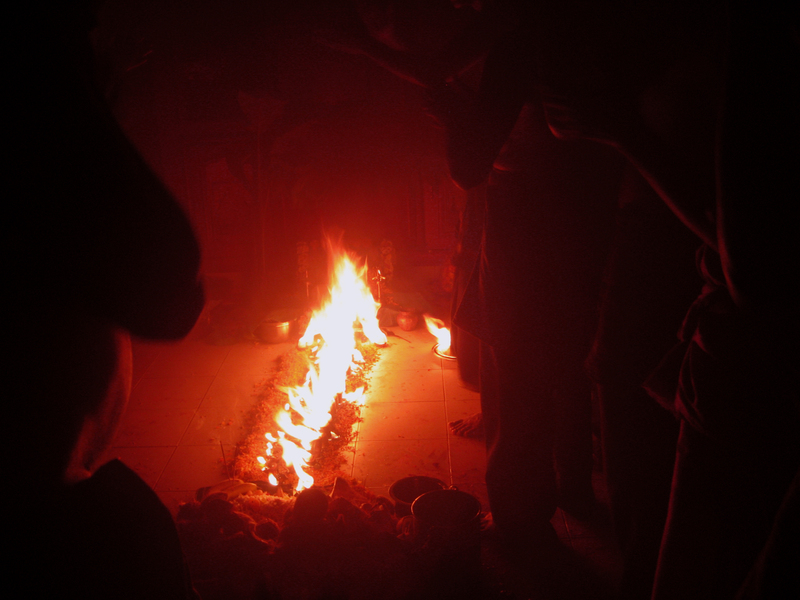 Swamis performing Ayyappa Pooja. I love the fire in this picture. This is the last stage of the Pooja/Prayer when Camphor/Karpoorm is placed on the floor in front of God and all the Swamis are seen clapping and praying at the same time. This entry was posted on May 27, 2008 by IdliDosa. It was filed under Religion and was tagged with ayyappa pooja, colour photography, fire, hinduism, hindus, india, indian, photography, pooja, prayer, Religion.